Where, prior to 1752, the 'Ecclesiastical' year went from March to March, I have corrected the calendar dates to modern format/usage; therefore, where a Register has, say, Baptisms of 1740 for Nov, followed by Dec, followed by Jan, I have corrected the latter date to be Jan. 1741. I am indebted to the late Janet Cridland for assisting in the transcriptions. As of Jan 2012, I have discovered that the previous link to Phillimores Marriage Registers has lost the browsing capability. 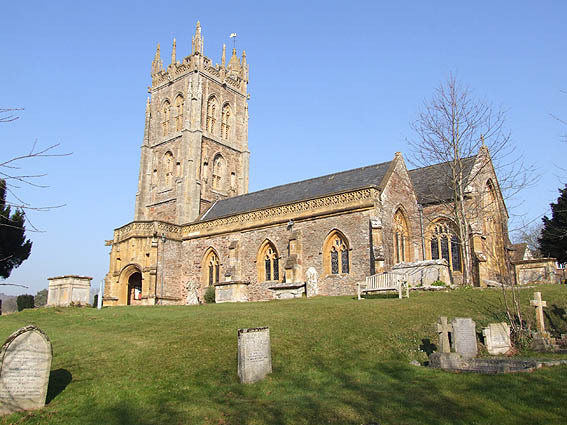 I have inserted a new link so that anyone can return to the ability to browse through these Registers as they apply to existing Somerset parishes. When requiring the next 'page', just click on the "Next" button, (top right). For Aisholt Marriages 1654 - 1711 see Phillimore's Marriage Registers online. 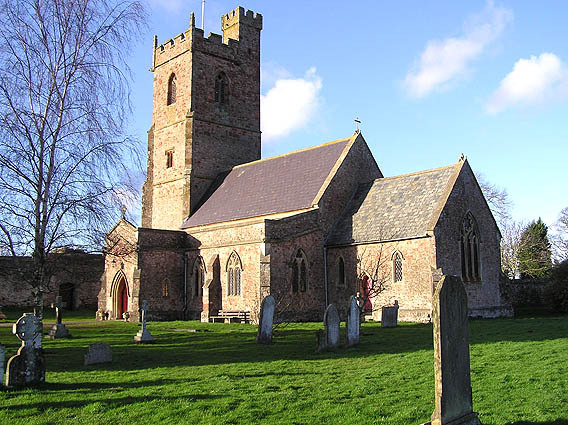 For Bishops Hull Marriages 1562 - 1812 see Phillimore's Marriage Registers online. For Bradford on Tone Marriages 1567 to 1717 see Phillimore's Marriage Registers online. For Cannington Marriages 1559 - 1711 see Phillimore's Marriage Registers online. 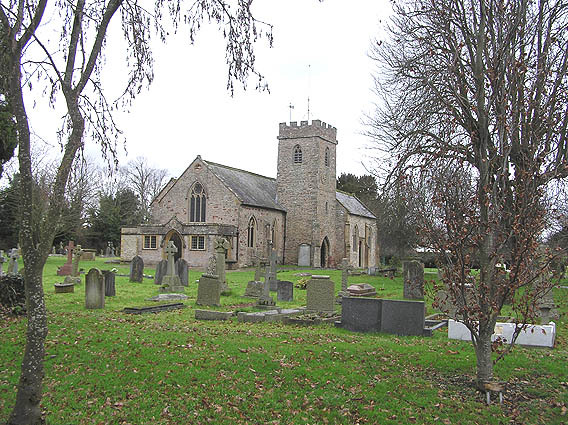 Click here for a picture of St. Mary the Virgin, Cannnington. For Charlinch Marriages 1745 - 1754 see Phillimore's Marriage Registers online. Click here for a picture of St. Mary's, Charlinch. 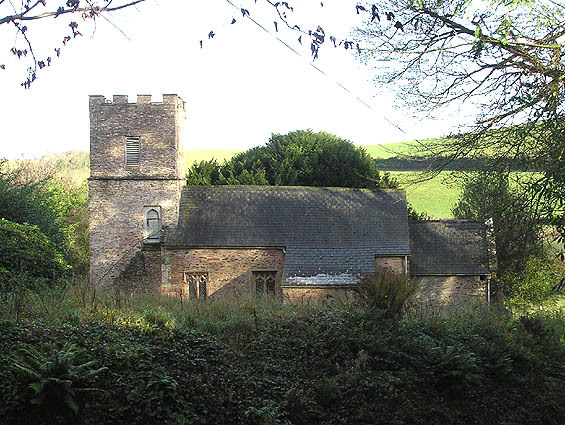 This church is now redundant and deconsecrated, and part is in use as a private house. 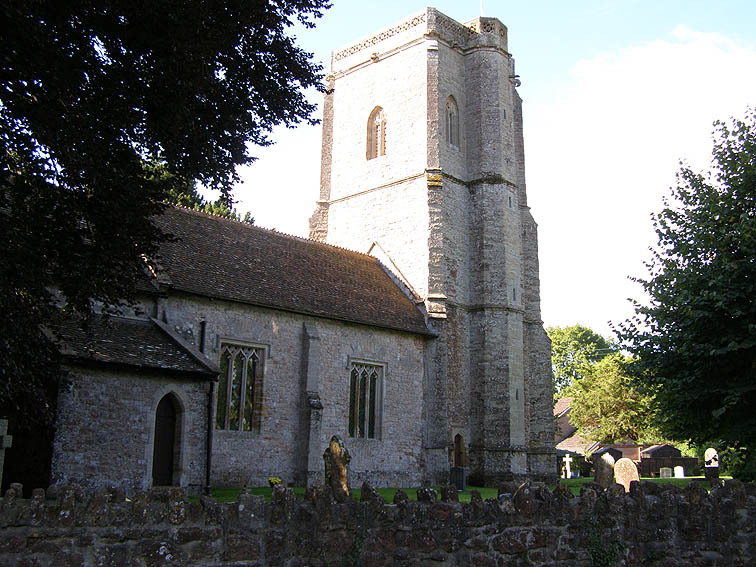 For Cheddon Fitzpaine Marriages 1559 - 1754 see Phillimore's Marriage Registers online. 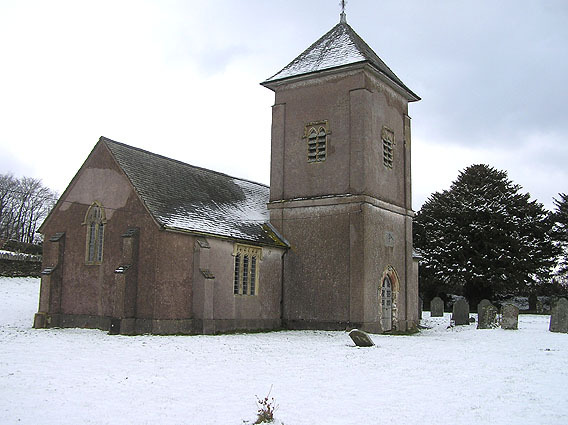 Click here for a picture of Cheddon Fitzpaine church, (Blessed Virgin Mary). 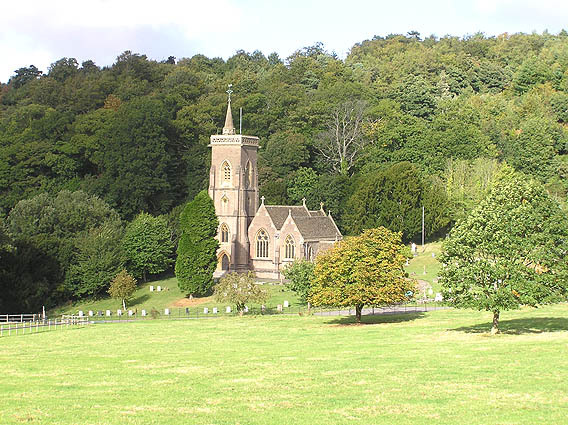 Click here for a picture of Combe Florey church, (Sts. Peter & Paul). 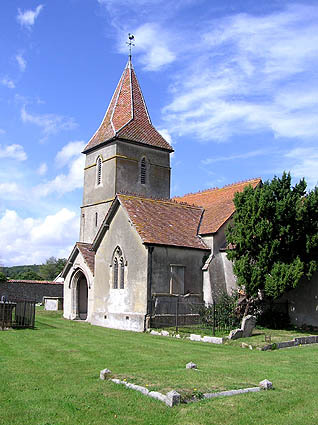 Click here for a picture of Cothelstone church, (St. Thomas of Canterbury). 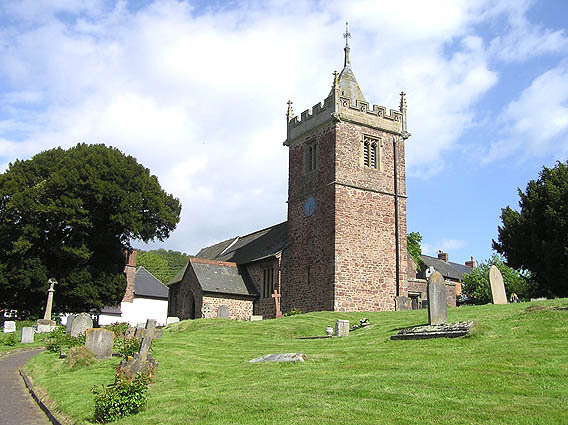 For Crowcombe Marriages 1641 - 1708 see Phillimore's Marriage Registers online. 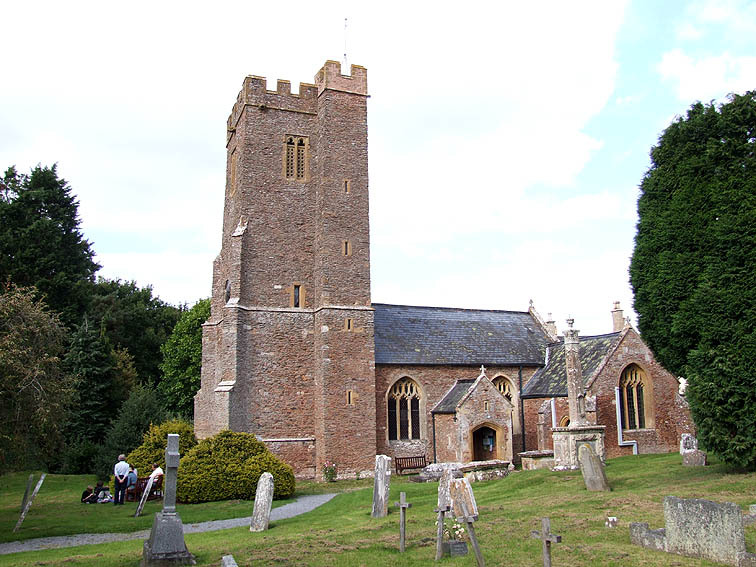 Click here for a picture of Crowcombe church, (Holy Ghost). 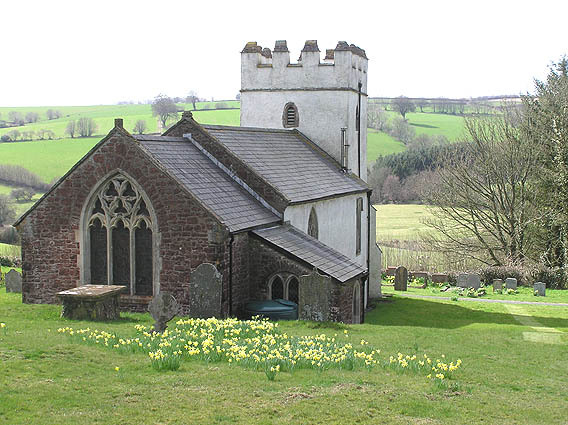 Click here for a picture of Culbone church, (St. Beuno). 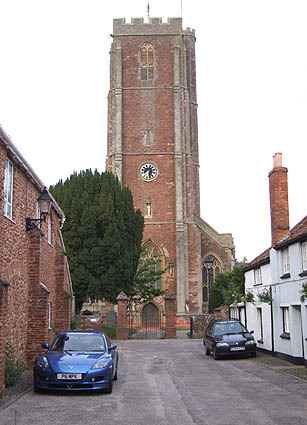 Reputed to be the smallest parish church in the country. 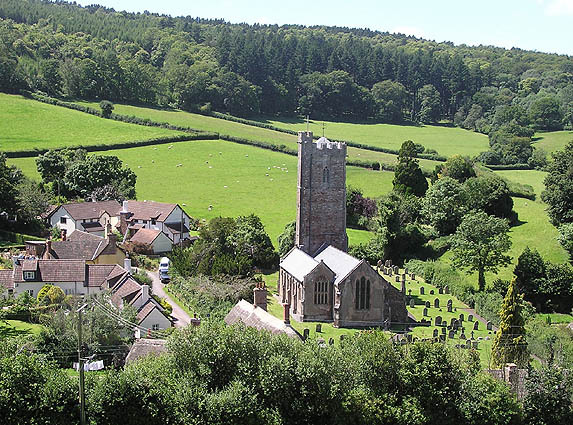 Click here for a picture of Cutcombe church, (St. John the Evangelist). For Dodington Marriages 1538 - 1754 see Phillimore's Marriage Registers online. 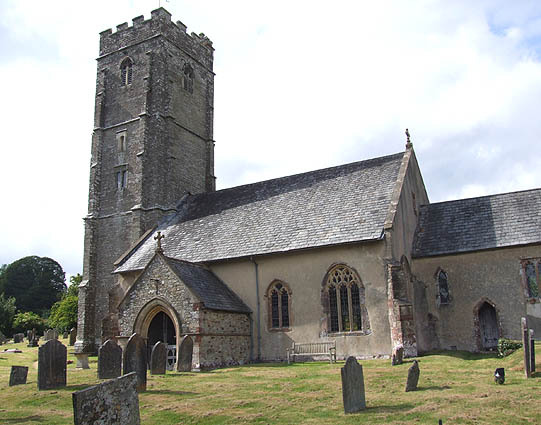 Click here for a picture of Dodington church, (All Saints). 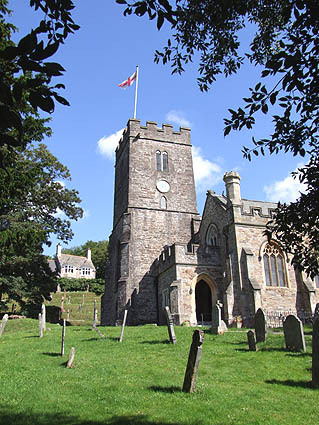 Click here for a picture of Dulverton church, (All Saints). For Durleigh Marriages 1683 - 1714 see Phillimore's Marriage Registers online. 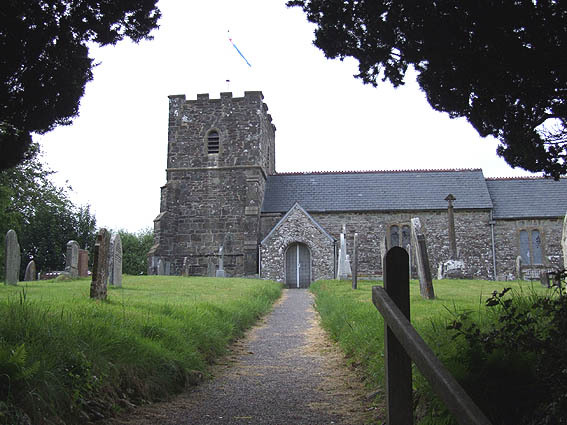 Click here for a picture of Durleigh church, (St. Hugh). 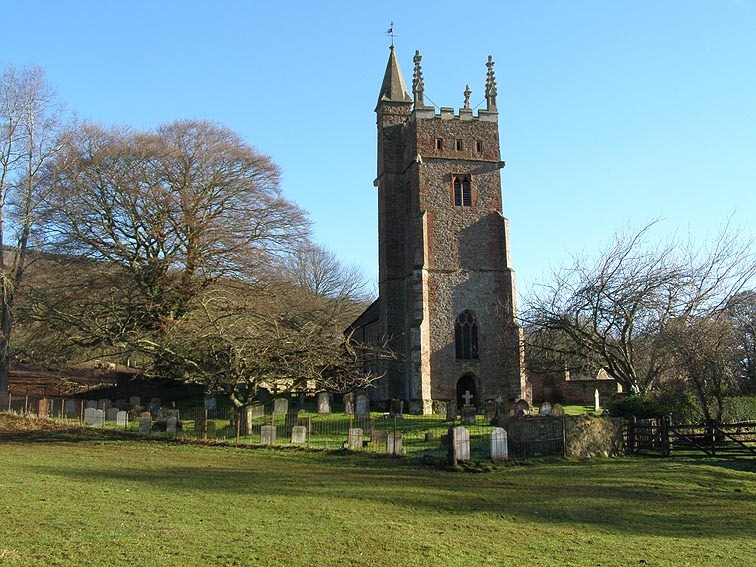 For East Quantoxhead Marriages 1654 - 1700 see Phillimore's Marriage Registers online. 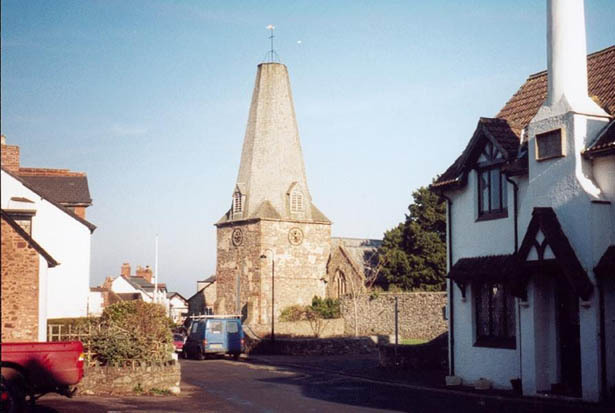 Click here for a picture of East Quantoxhead church, (St. Mary the Virgin). 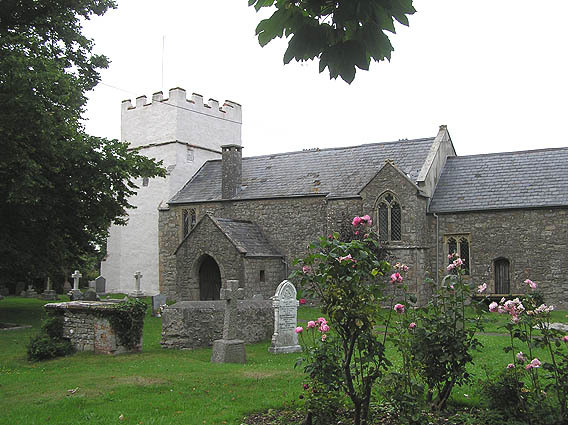 Click here for a picture of Elworthy church, (St. Martin de Tours). 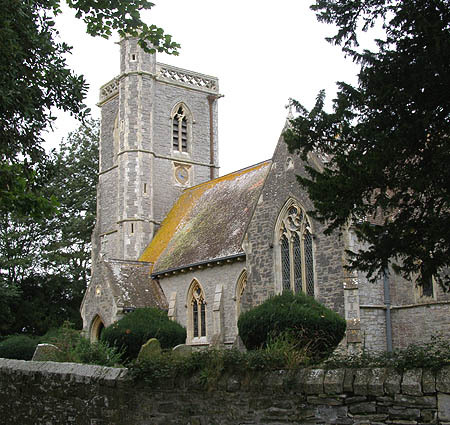 Elworthy church is now classed as a redundant church and comes under the Historic Churches Trust and has three to four services a year. Click here for a picture of Enmore church, (St. Michael). 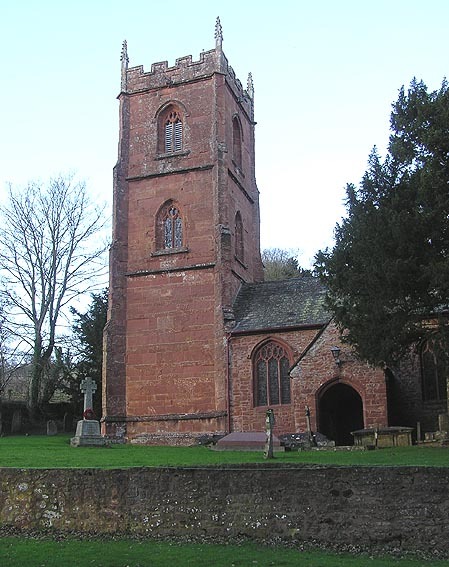 Click here for a picture of Exford church, (St. Mary Magdalen, although an earlier dedication was to an earlier Celtic saint, St. Salvyn). 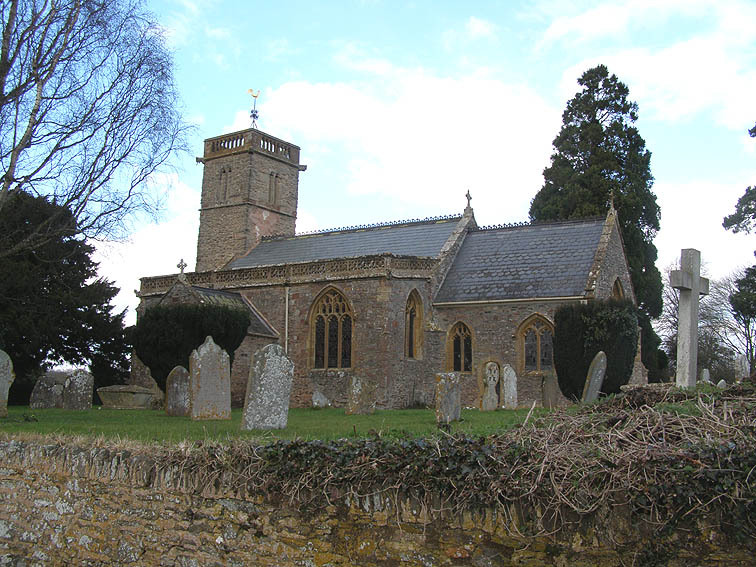 Click here for a picture of Exton church, (St. Peter). There is a gap in the Register between 1788 and 1795 which appears to date from a long time ago when the Register was being rebound. For Fiddington Marriages 1706 - 1739 see Phillimore's Marriage Registers online. 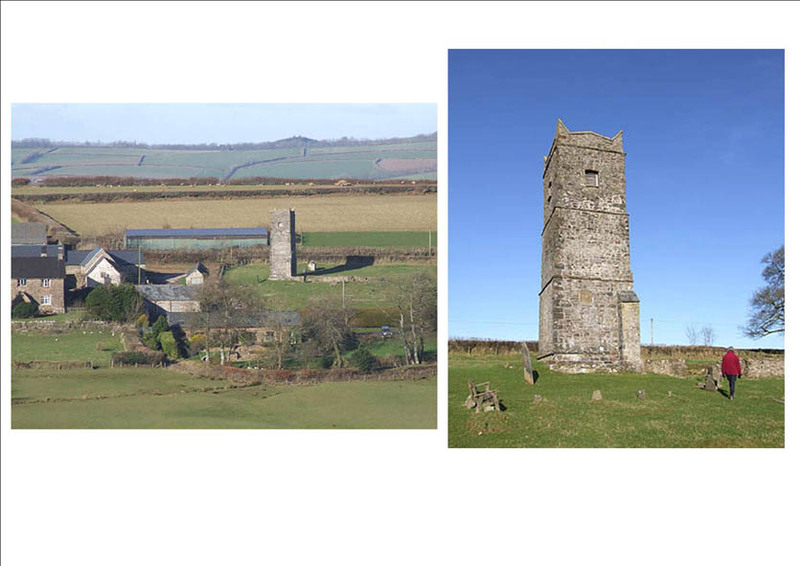 Click here for a picture of Fiddington church, (St. Martin). 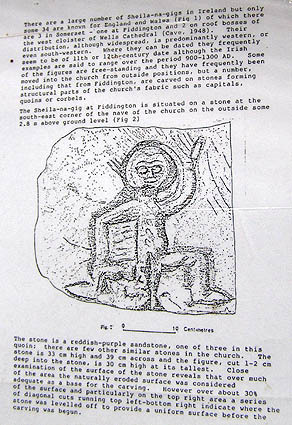 When visiting to take the photo, we were shown an ancient stone on the outside apparently called a "Sheila-na-Gig" which appears to possibly be an ancient fertility stone according to an explanatory write-up inside the church. For Goathurst Marriages 1539 - 1682 see Phillimore's Marriage Registers online. 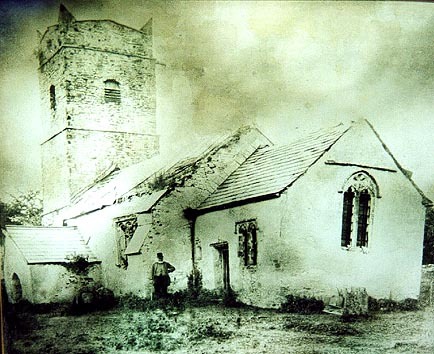 Click here for a picture of Goathurst church, (St. Edward, King & Martyr). 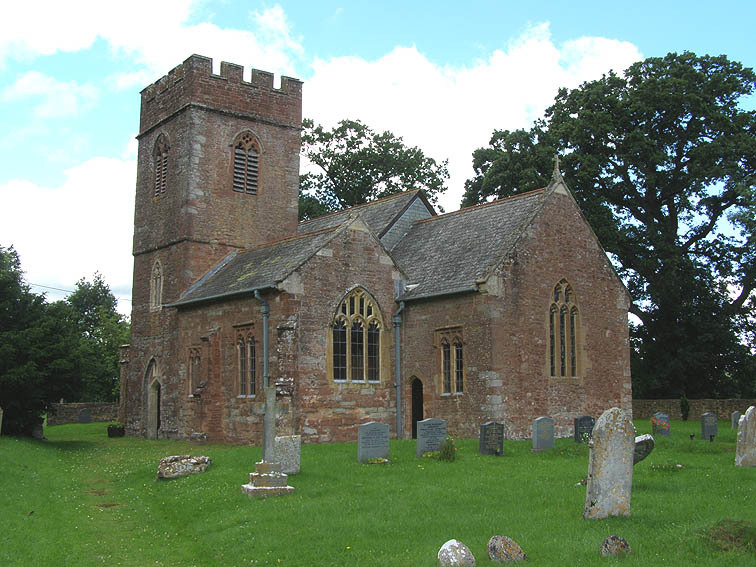 Click here for a picture of Hawkridge church, (St. Giles). For Hillfarance Marriages 1701 - 1752 see Phillimore's Marriage Registers online. Click here for a picture of Hillfarance church, (Holy Cross). For Holford Marriages 1558 - 1716 see Phillimore's Marriage Registers online. 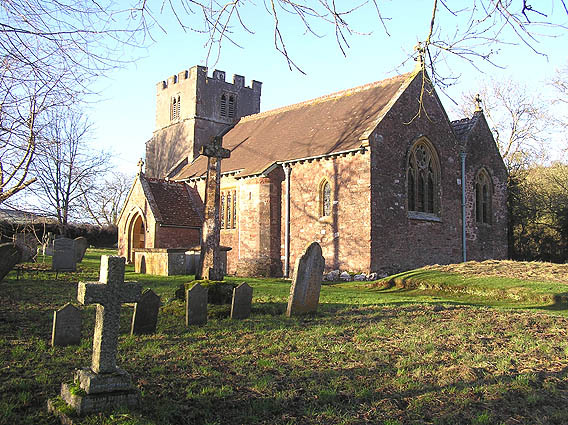 Click here for a picture of Holford church, (Blessed Virgin Mary). 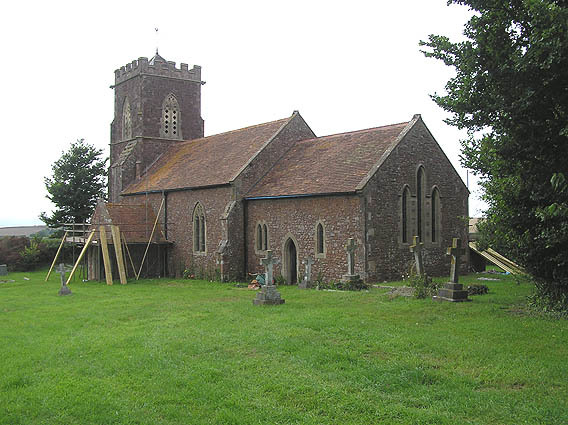 Click here for a picture of St. Nicholas' church, Kilton which is now closed but being refurbished for possible use as a centre for the Arts. 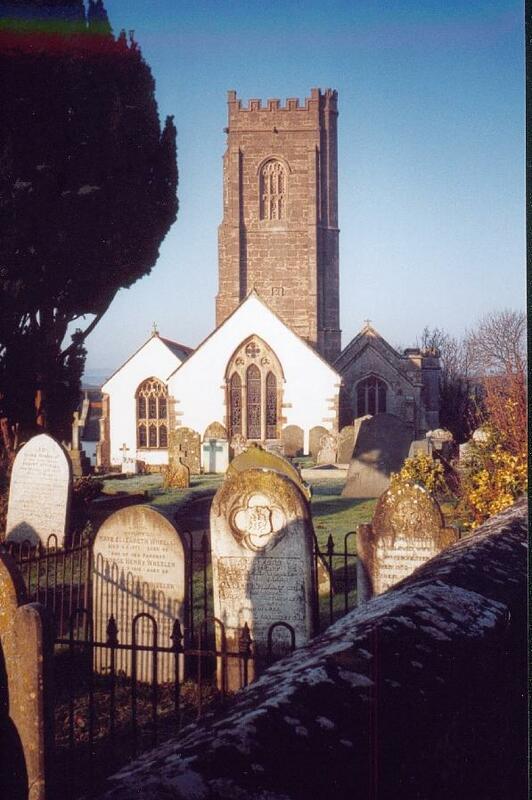 For Kilve Marriages 1638 - 1732 see Phillimore's Marriage Registers online. 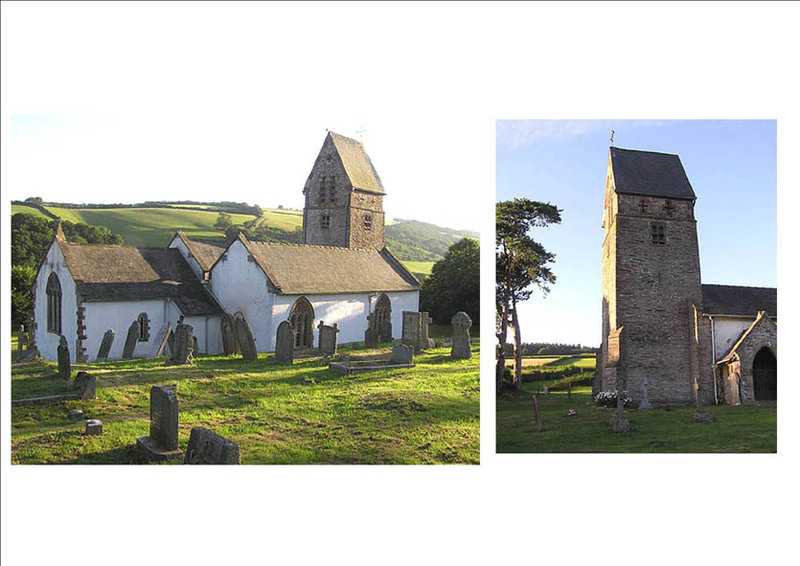 Click here for a picture of St. Mary the Virgin church, Kilve, unusual in having a white painted tower. 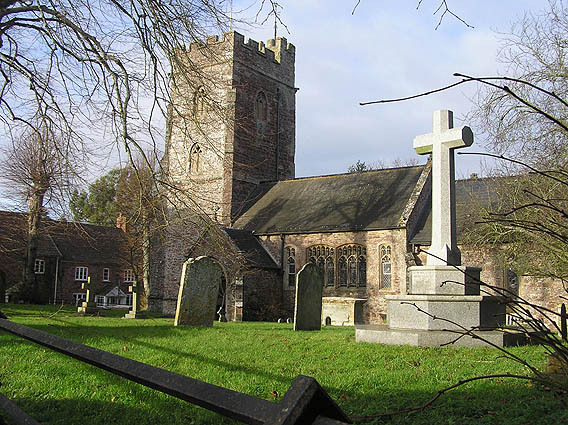 Leighland Burials for this period 1778 to 1783 are in the "combined" Register and can be found in the relevant period in Old Cleeve's Registers. 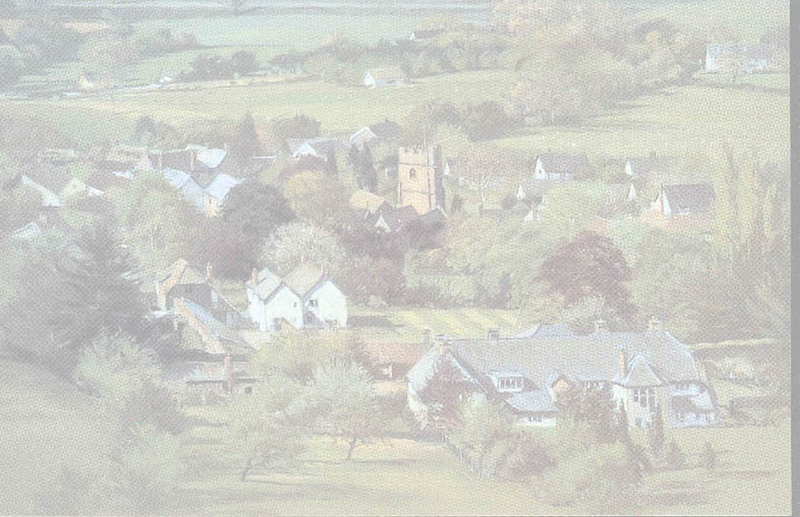 Click here for a picture of St. Giles chapel, Leighland. 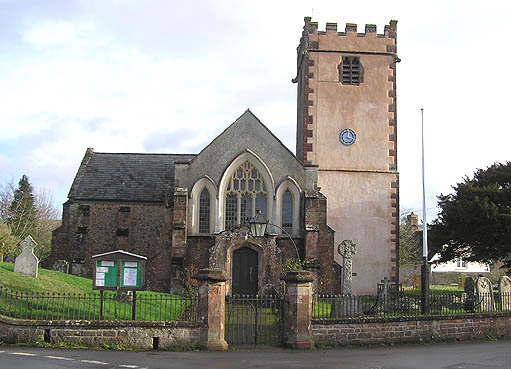 Click here for a picture of Lilstock church, (St. Andrew's). 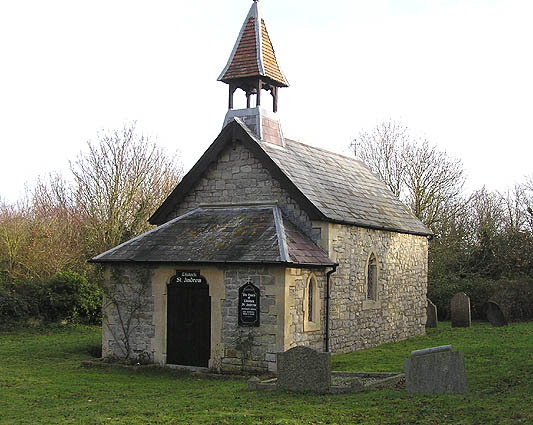 This must surely rank among the "smallest churches" in the land. 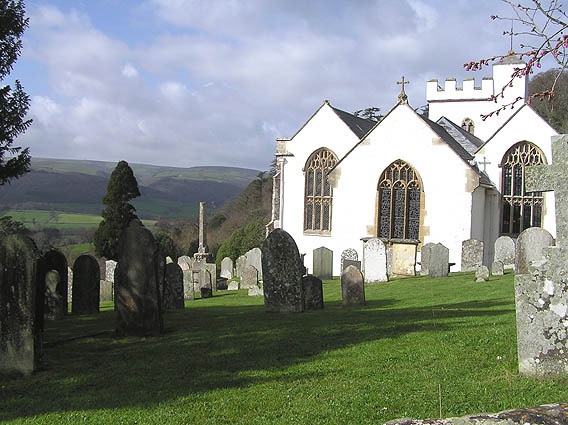 I'm sure its smaller than Culbone (beyond Porlock), as there is only room for two rows of pews! Lilstock is now a redundant church with only one service a year. 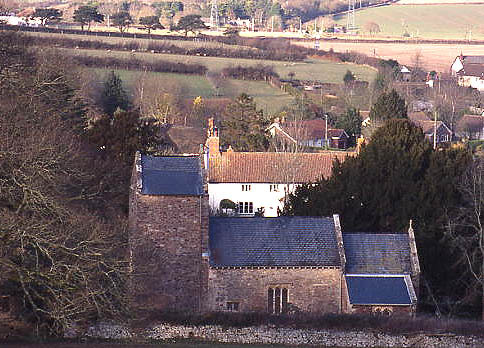 It was significantly restored around 1993 but appears to have its most recent baptism in 1881 and most recent marriage in 1834! 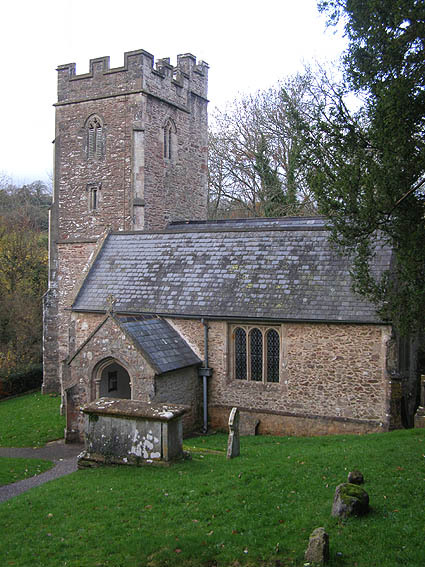 Click here for a picture of Luccombe church, (Blessed Virgin Mary). 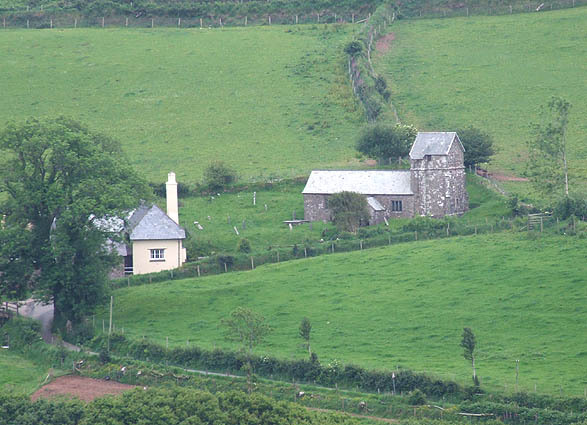 * Luxborough Marriages end in the old (free) style Register with 1754 and an entry which says "None" for 1755. The new (printed form ) style Register starts with the first entry recorded as 1757; presumably there were none in 1756. 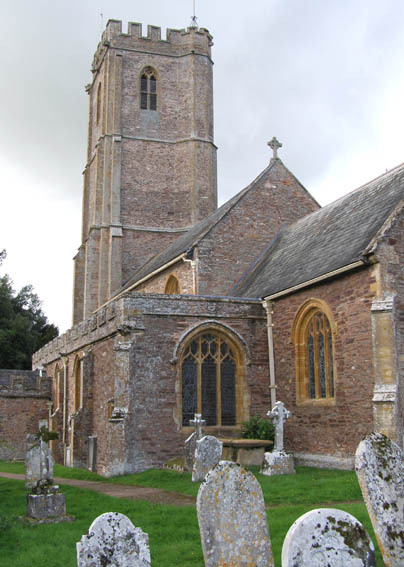 Click here for a picture of Lydeard St. Lawrence church, (St. Lawrence). 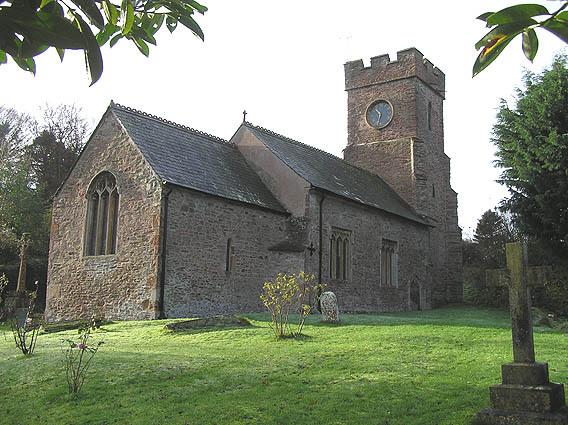 Click here for a picture of Monksilver church, (All Saints). 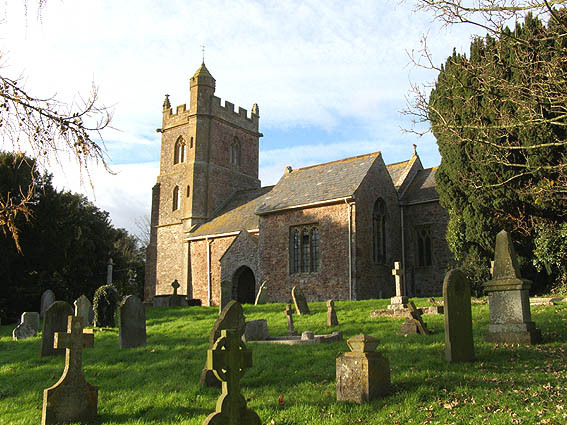 For Nether Stowey Marriages 1645 - 1723 see Phillimore's Marriage Registers online. 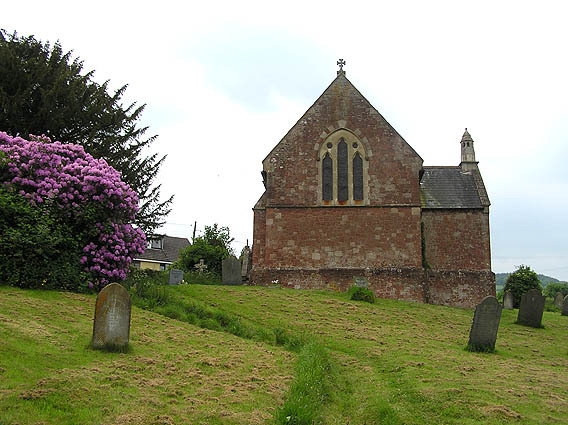 Click here for a picture of Nether Stowey church, (Blessed Virgin Mary). 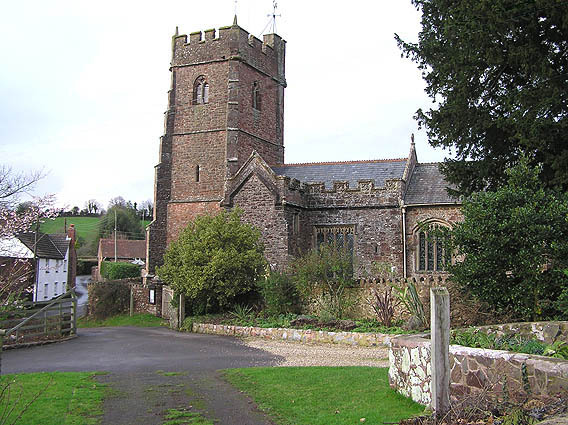 Click here for a picture of Nettlecombe church, (St. Mary's). 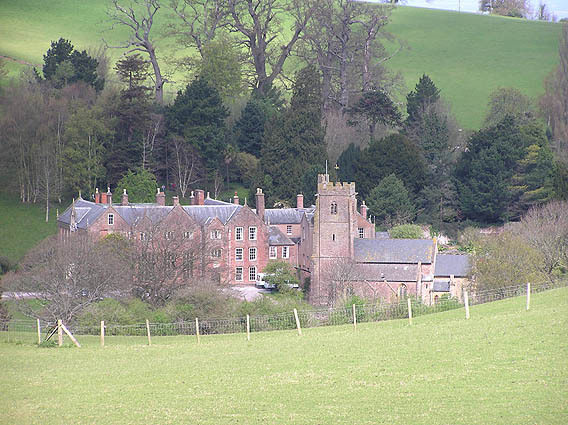 The large house next to Nettlecombe church is Nettlecombe Court. This is now a Field Studies Centre but has been in the Ralegh, Whalesborough and Trevelyan families since the late 12th. century. 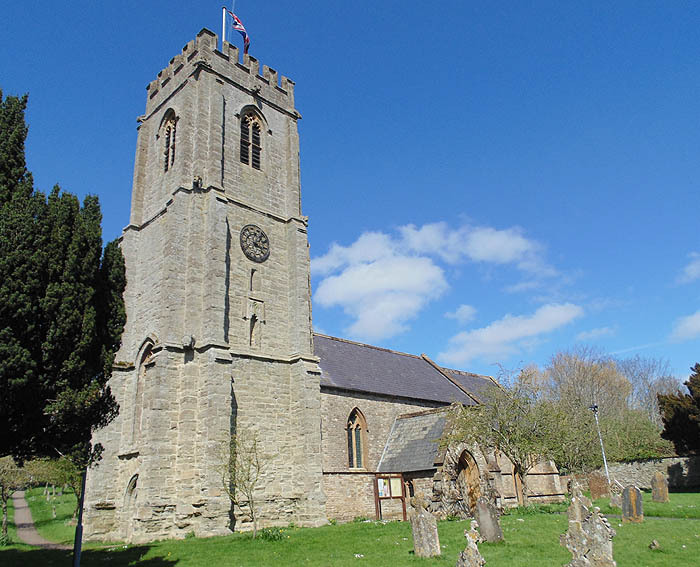 During the periods I have transcribed , George Trevelyan signed the Register as Rector, and his own son Edward Otto, went on to become Rector at Stogumber in later years. Click here for a picture Oake church, (St. Bartholomew). Click here for a picture Oare church, (St. Mary the Virgin). 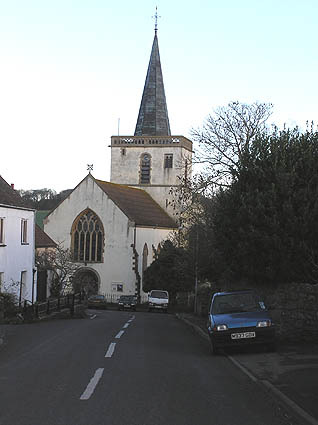 The ecclesiastical parish of Old Cleeve extends from the coast near Blue Anchor up to the Brendon hills. 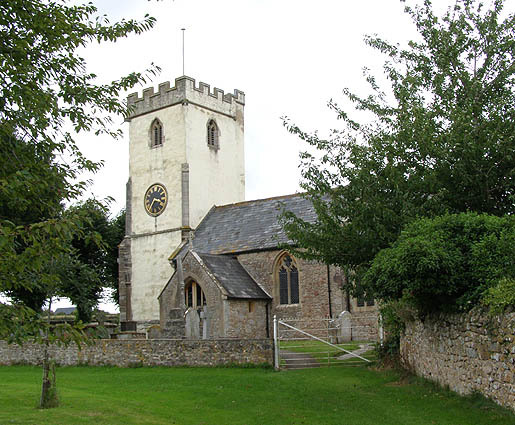 There has been a church in the south of the parish at Leighland for a long time and the records of Baptisms, Marriages and Burials were added to Old Cleeve Registers up until about the 1780s when Leighland had their own Registers which will be transcribed later. Because of this, the early transcriptions show an extra column headed "Where" and OC or L is shown as appropriate. 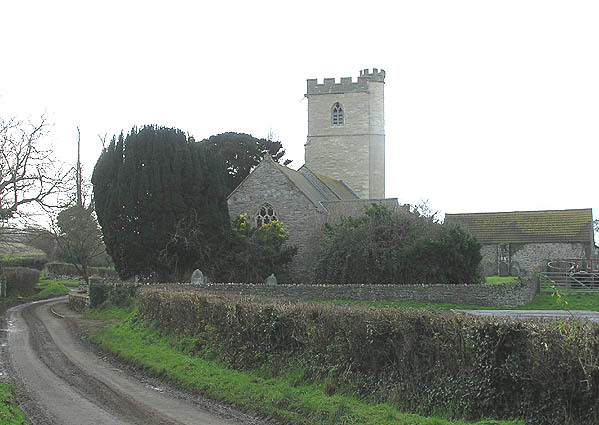 Click here for a picture of St. Andrew's church, Old Cleeve. For Otterhampton Marriages 1656 - 1749 see Phillimore's Marriage Registers online. 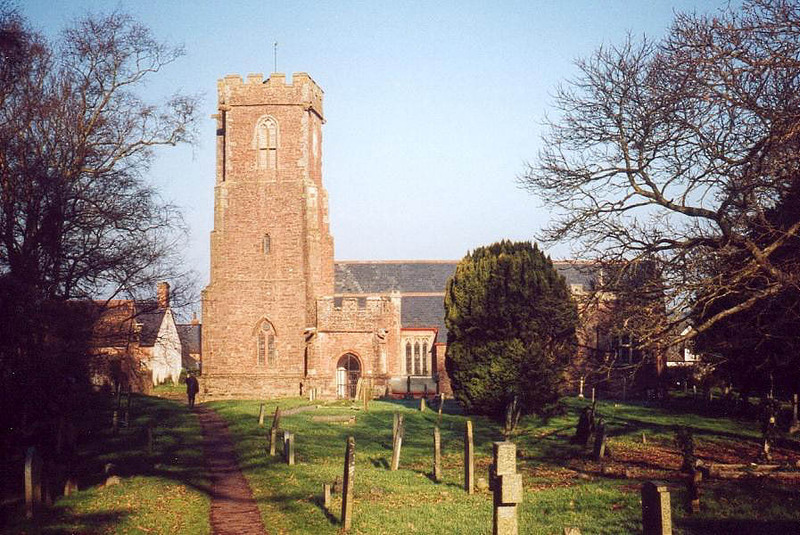 Click here for a picture of All Saints church, Otterhampton. 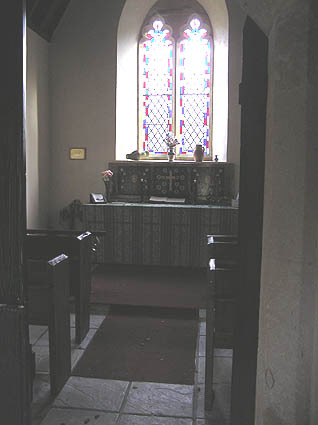 Similar to Elworthy, this church was closed in 1988 when the congregation had declined to one and is now looked after by the Churches Conservation Trust. 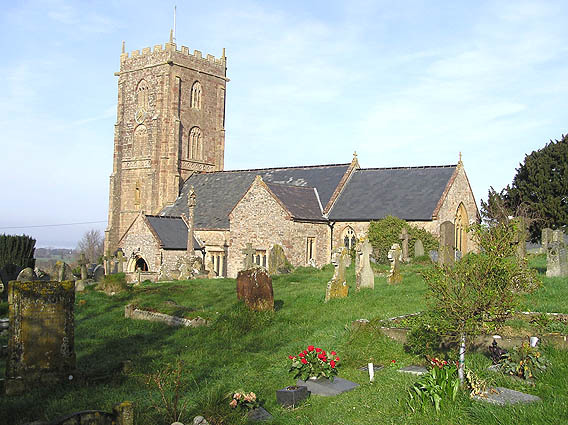 For Over Stowey Marriages 1558 - 1812 see Phillimore's Marriage Registers online. 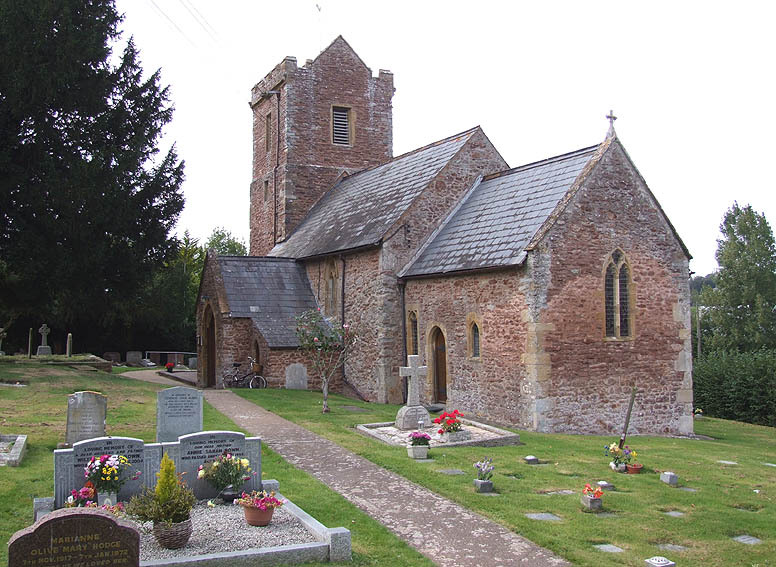 Click here for a picture of the parish church of Over Stowey, Sts. Peter and Paul. 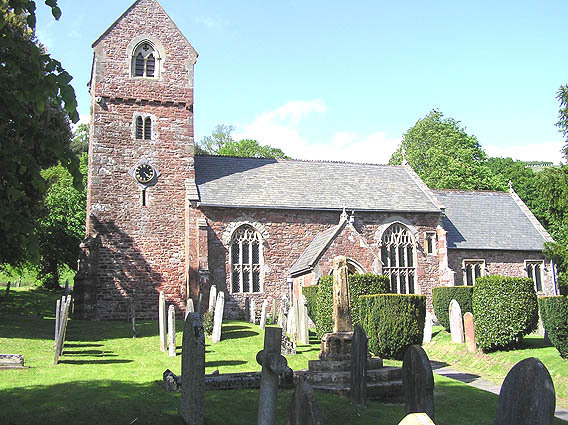 Click here for a picture of St. Dubricius' church, Porlock. 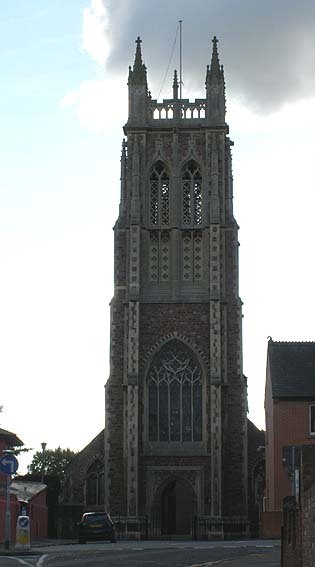 Local (apocryphal) lore has it that the top of the spire was taken to form the spire of Culbone church!! On double checking it has turned out that there are missing pages in the St. Decumans Baptism Register where there are gaps between 1721 and 1724, also June 1745 to Sept. 1746. Unfortunately, Bishops Transcripts do not cover this period either! 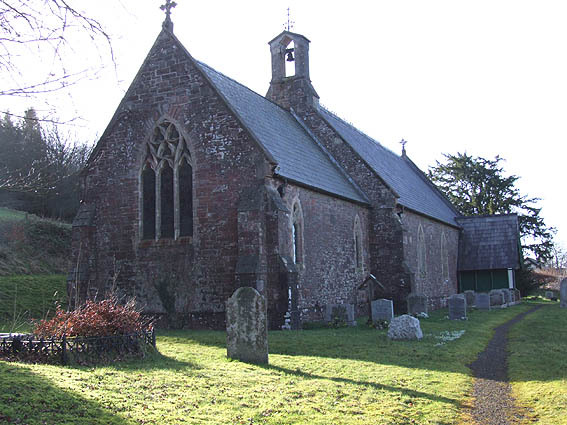 I have also been recently given microfiche which include apparent separate Registers for Williton chapel (St. Peter's) before it was considered a separate Parish in its own right. St Decuman's Burials 1773 - 1784, (courtesy of Andrea). 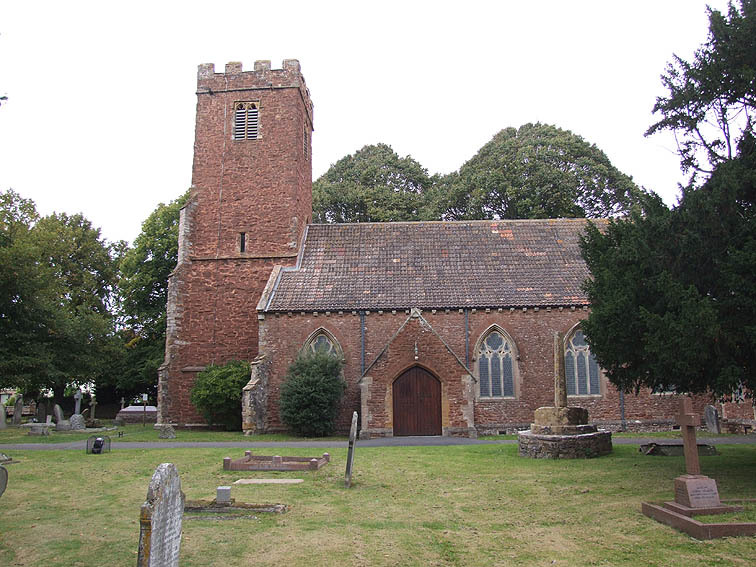 Click here for a picture of St. Decuman's church, (Watchet). 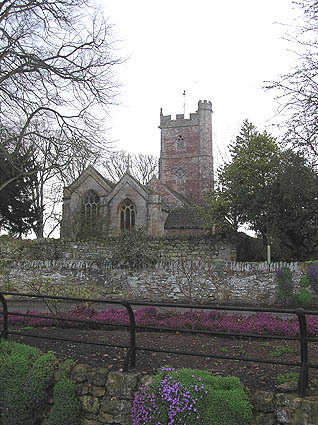 Click here for a picture of St. Peter's church, (Williton) which had been a Chapel-of-Ease. 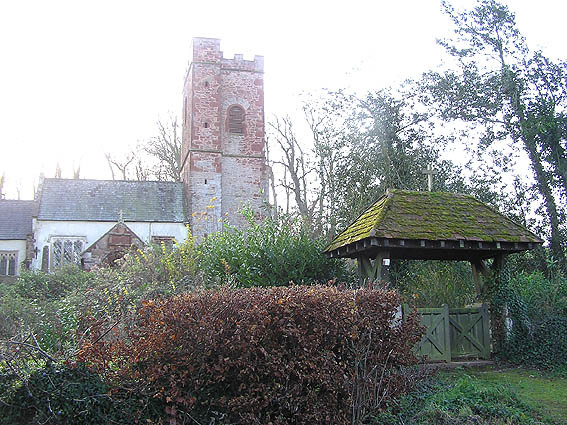 Click here for a picture of St. George's church, Sampford Brett. 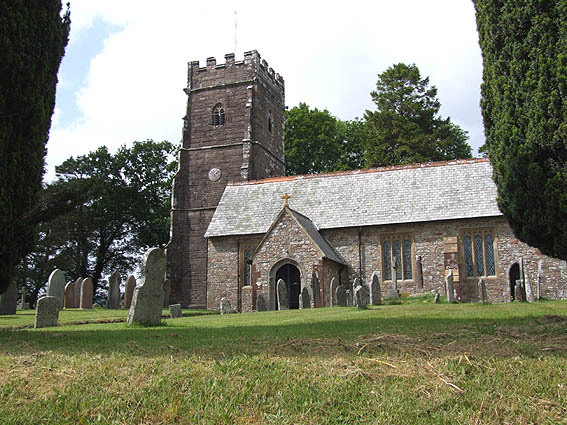 Click here for a picture of All Saints church, Selworthy. For Spaxton Marriages 1558 - 1735 see Phillimore's Marriage Registers online. 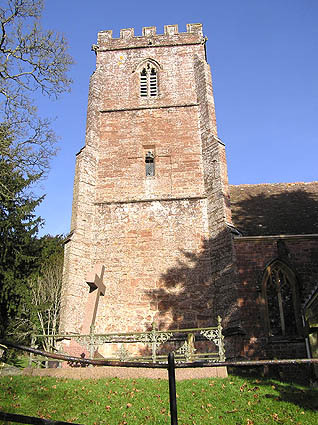 Click here for a picture of St. Margaret's church, Spaxton. 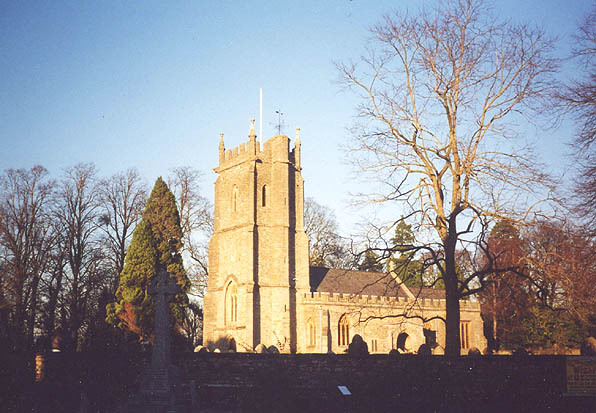 Click here for a picture of St. John's church, Staplegrove. 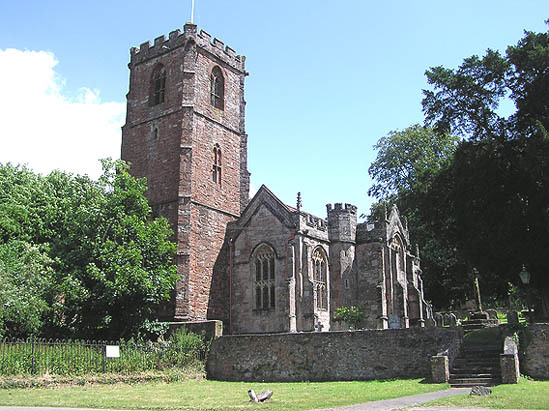 For Stockland Bristol Marriages 1558 - 1693 see Phillimore's Marriage Registers online. 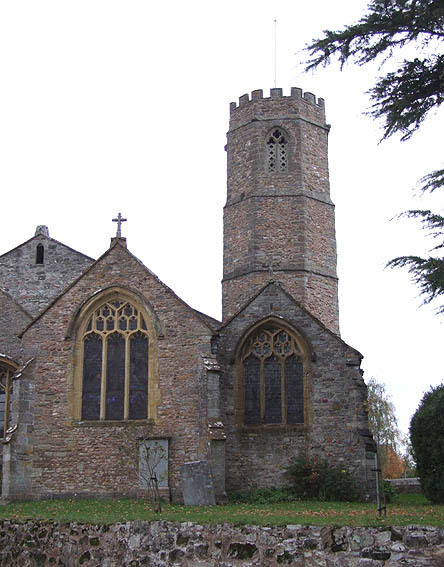 Click here for a picture of Stockland Bristol church, (St. Mary Magdalen). 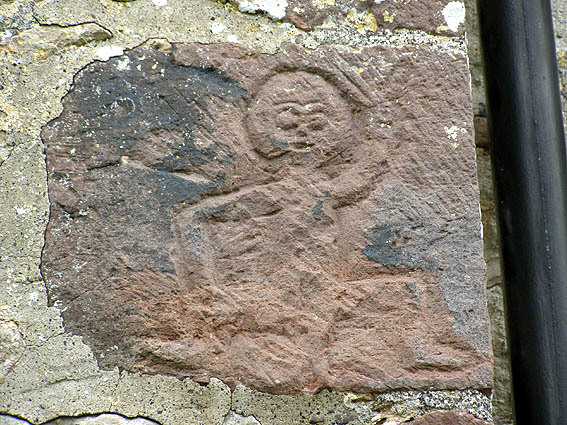 Click here for a picture of St. Mary the Virgin church, Stogumber. 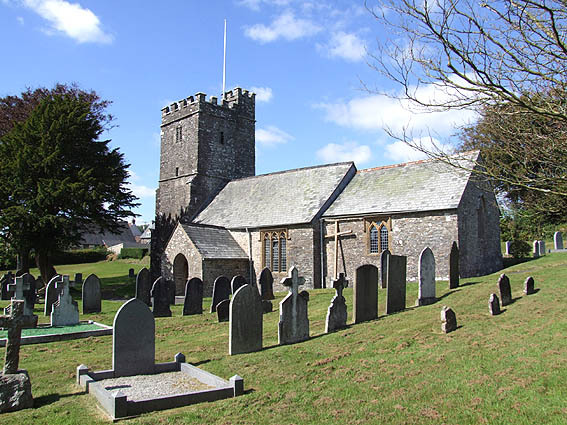 Click here for a link to the churchyard plan and and here for details of gravestones at Stogumber. 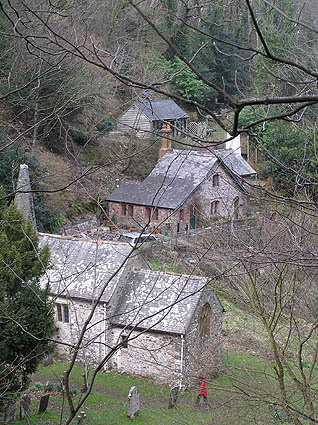 Click here for a picture of the old Baptist chapel, Stogumber. 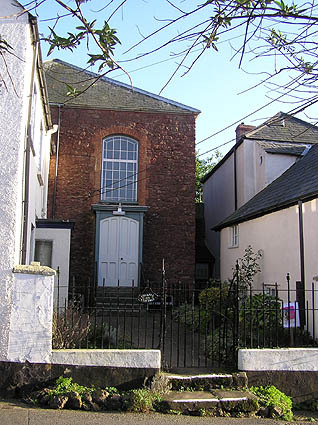 now the Chapel Arts Centre. Stogursey Baptisms 1813 - 1837 (courtesy of Gloria Gore). For Stogursey Marriages 1595 - 1728 see Phillimore's Marriage Registers online. As the original Marriage Register for 1754 to 1812 has never been found, the next entry is made up of the few Bishop's Transcripts that are available and readable. As the previous Burial Register stops at 1794, the next entry is made up of the few Bishop's Transcripts that are available and readable. 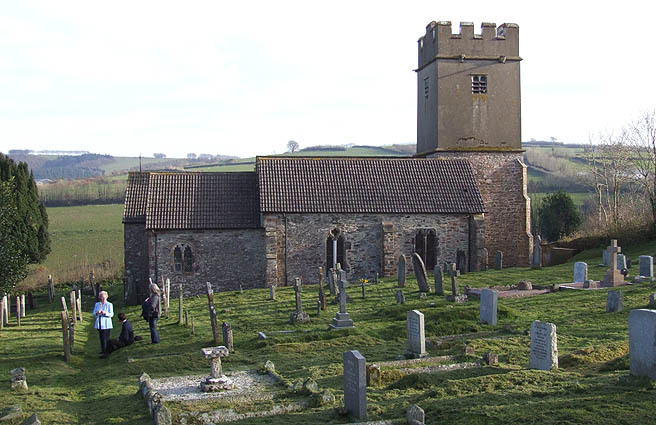 Click here for a picture of Stoke Pero church, dedication unknown. Along with Church Farm, this is all of Stoke Pero. 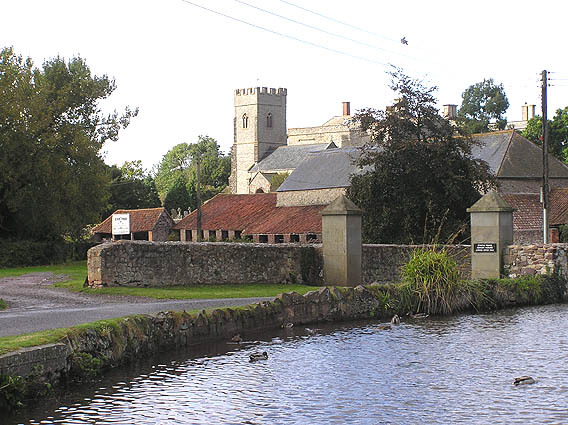 Stringston Baptisms 1730 & 1732 from Bishops Transcripts (plus 1 marriage). For Stringston Marriages 1634 - 1700 see Phillimore's Marriage Registers online. Interestingly, Phillimore's doesn't have the missing 1734-1742 data, so it will be long lost, although possibly there were none. As yet have not discovered the missing 1723-1742 data. 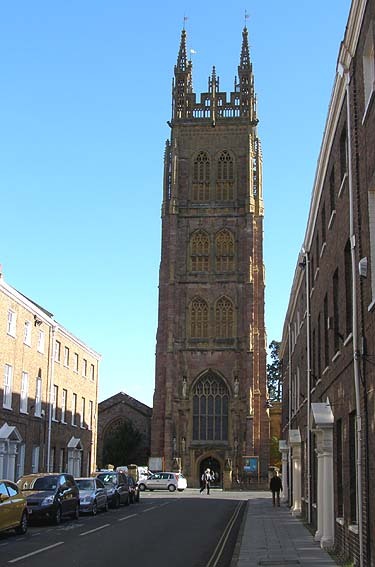 For Taunton St. James Marriages 1610 - 1698 see Phillimore's Marriage Registers online. 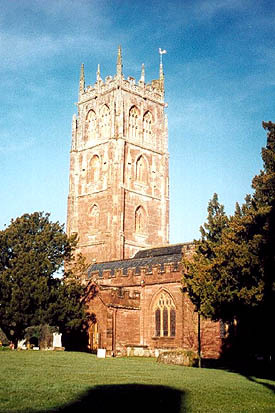 For Taunton St. Mary Magdalene Marriages 1558 - 1728 see Phillimore's Marriage Registers online. 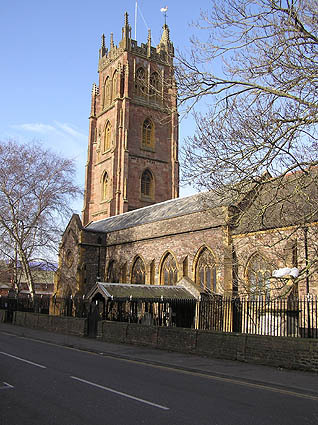 For Taunton St. Mary Magdalene Marriages 1728 - 1812 see Phillimore's Marriage Registers online. 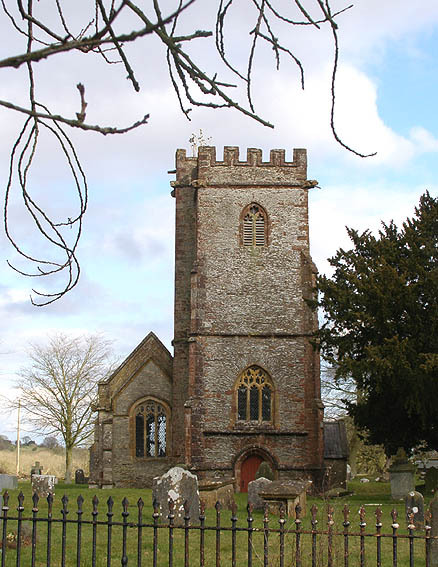 For West Bagborough Marriages 1565 - 1701 see Phillimore's Marriage Registers online. 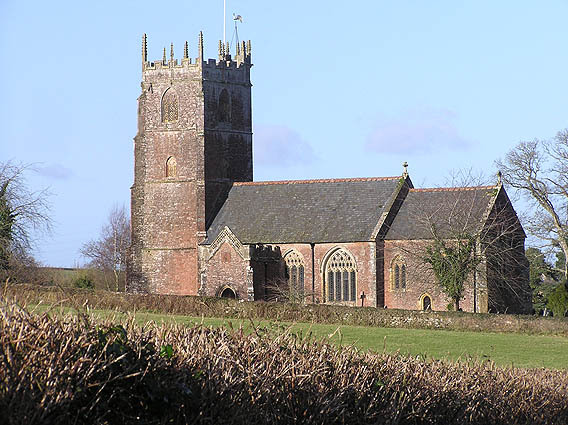 Click here for a picture of West Quantoxhead church, (St. Etheldreda). 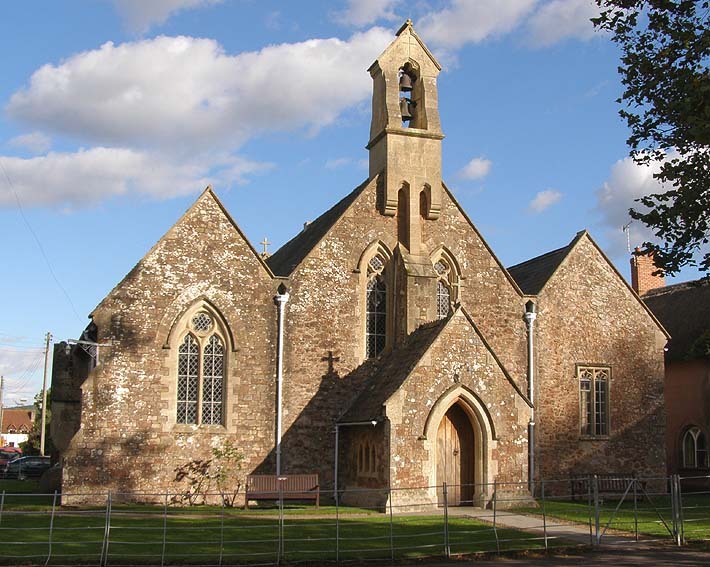 For Register entries for WILLITON chapel, see St. Decumans. 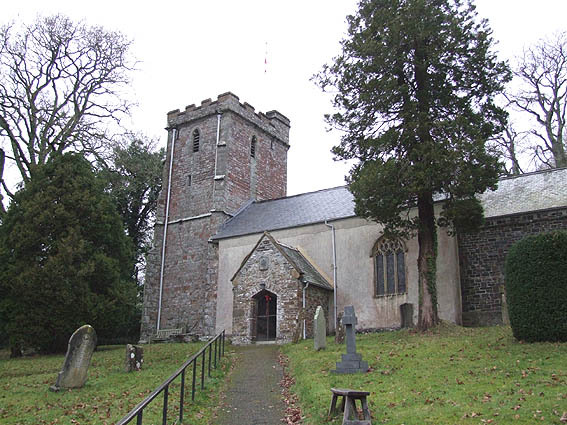 Click here for a picture of Withiel Florey church, (St. Mary Magdalene). 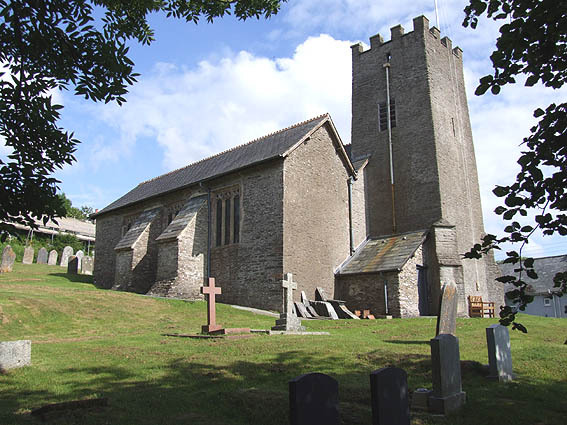 Click here for a picture of Withypool church, (St. Andrew). 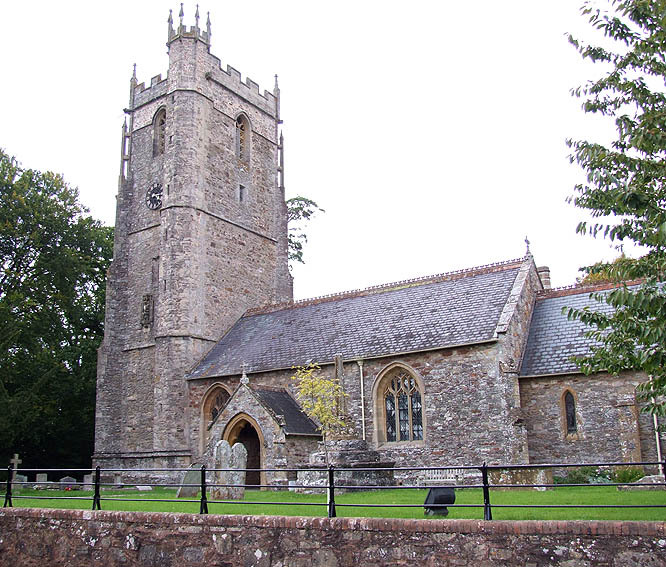 Click here for a picture of Wootton Courtney church, (All Saints). To view maps of the relevant parishes, click here to go to the Somerset Record Office website to view old Ordnance Survey maps. While every effort has been made to avoid errors in transcription, some errors will probably have crept in. If anything obvious is noted, please feel free to inform me so that corrections can be made. Equally, if you find an item of interest here, check a copy of the original Register fiche to confirm the data. Created by Martin Southwood 1/1/2004 and updated 1/7/2016.